Facility for Arts Research (FAR) Director, Carolyn Henne, recently took part in a panel discussion during the eighth World Archaeological Conference (WAC-8) in Kyoto, Japan. 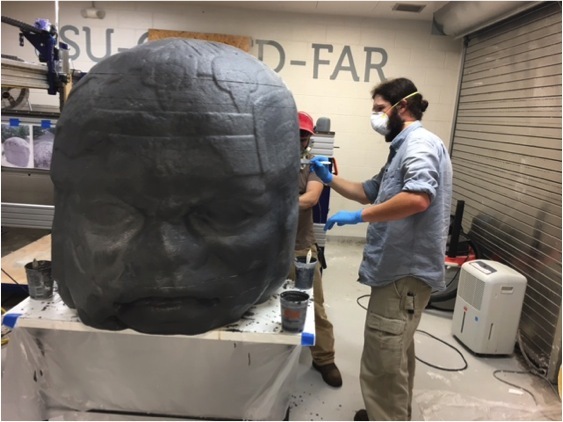 Department of Art History Professor and FAR collaborator, Dr. Michael Carrasco, chaired the panel discussion on The Presentation, Representation, and Reproduction of the Archaeological Object. 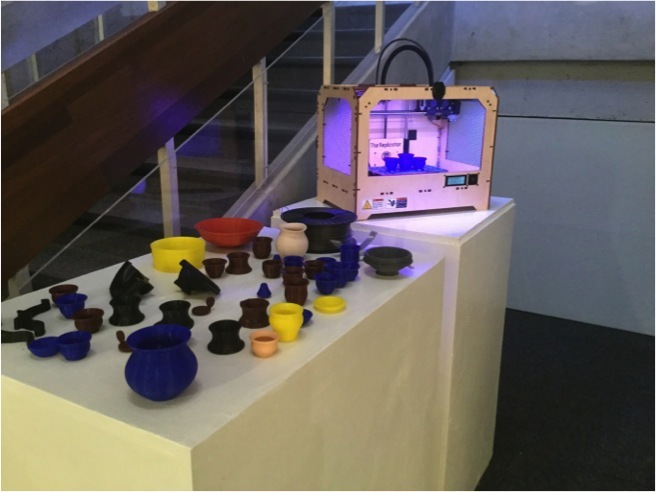 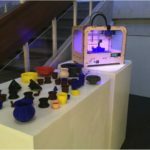 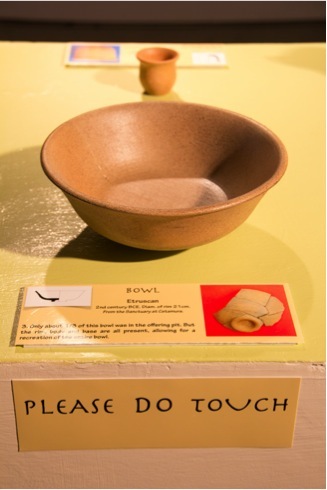 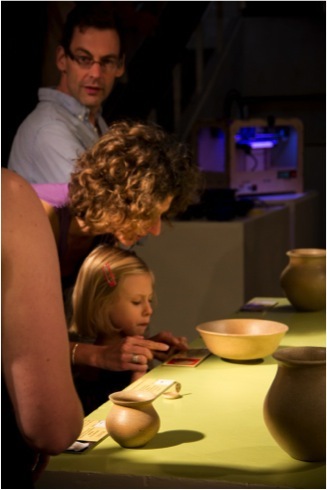 Henne presented on topics in 3-D Printing Ancient Italian Ceramics: An Experimental Exhibition showcasing FAR’s experience working in conjunction with researchers in digitally reconstructing and fabricating replicas of ancient artifacts discovered on archaeological sites. 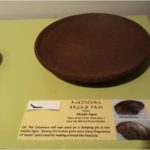 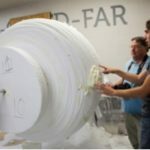 FAR has been making strides to establish itself as an innovation hub for researching and developing new fabrication technologies and methods designed to accurately reproduce three dimensional artifacts to add a hands-on component to exhibitions of these findings. 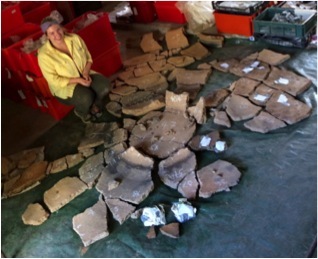 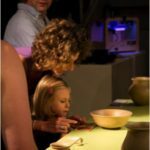 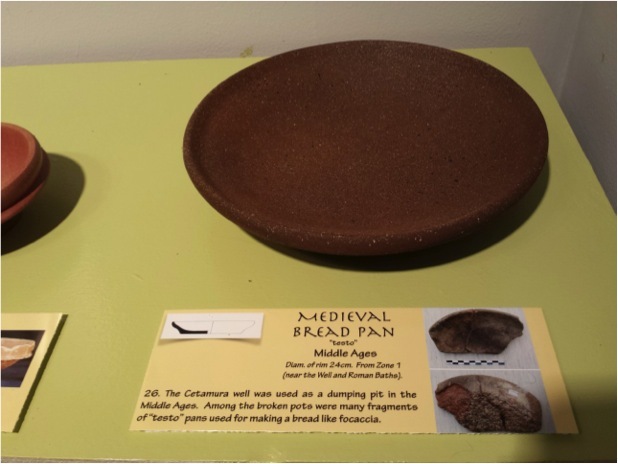 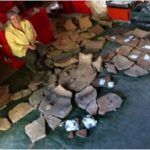 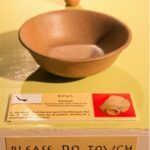 FAR has recently worked with FSU Classics professor Nancy de Grummond on her project Etruscan Ceramics from Cetamura del Chianti processing scans of excavated pottery fragments to digitally recreate the artifact in its original full form. 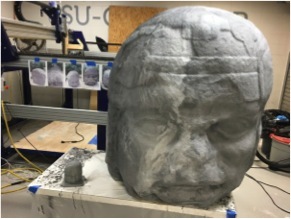 After 3-D printing the pieces in-house, FAR technicians instructed professor de Grummond’s students on finishing techniques designed to mimic the original surface textures and coloration. 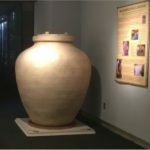 A nearly six foot tall dolium (a large earthenware vase) was also recreated in polystyrene by modifying FAR’s MMAP machine into a large scale 4th axis carver. 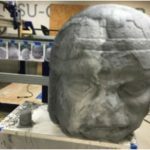 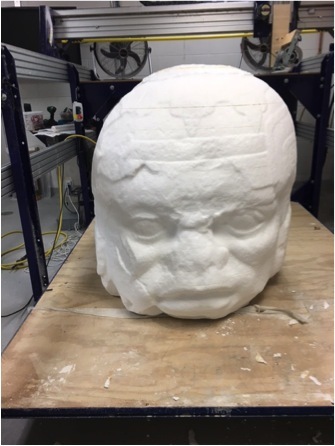 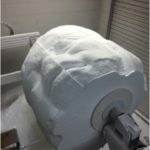 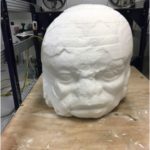 More recently, FAR has fine tuned the MMAP 4th axis carver for a collaboration with Dr. Michael Carrasco where the formLab created a five foot diameter 3-D carve of a Mayan stone statue. 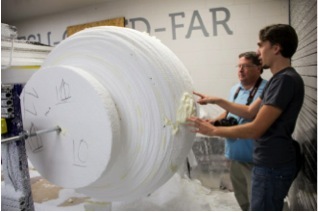 The carve was hewn from a layered six foot square polystyrene foam block processed over dozens of hours on the MMAP. 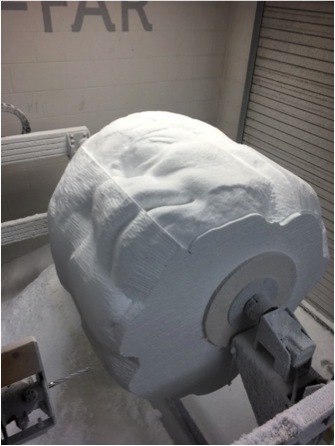 The form was then given several layers of surface treatment to give the visual appearance of stone (but luckily without all the weight!). 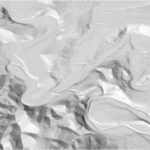 FAR is currently working with Dr. Sarah Craft from FSU’s Classics Department on a GIS-oriented landscape archaeology project creating a 16 sqft three dimensional topographical carve of a section of the Serbian countryside using satellite imaging to map historic settlement sites. 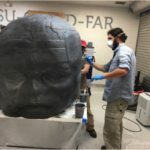 Beginning in 2017, FAR Faculty in Residence and FSU Professor from the College of Communication and Information, Richard Urban, will be utilizing the resources available at the Facility for Arts Research to expand the horizons of his ongoing project to create systems for three dimensional archiving and reproduction of museum and cultural heritage collections.